A few years ago, in the middle of the grandeur of one of the world’s most impressive sceneries and near South America’s most southern point, I had a conversation with a friendly hostel owner about the implications of tourism for his much-beloved country. As many people earn a living through tourism-related services, in recent years locals started noticing side effects of the increasing numbers of visitors to the region. Their worry concerned the growing amount of litter found along the many hiking trails - seemingly carelessly discarded from people’s backpacks or left behind at picnic spots. This man was determined to find a solution, so both locals and tourists could enjoy the outdoors - litter free. The determination with which he spoke about his project and the love he showed for his local area, I found truly intriguing. The world is a gorgeous place and I find it incredibly inspiring that many people have made it their life’s work to keep the world a healthy and wonderful place. With care, passion and the conviction that the environment is a great gift and our responsibility. The stories of these people and our planet I’d like to capture and share with others. 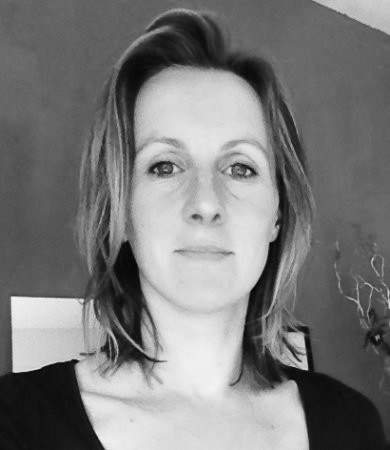 Gerrie is a freelance Assistant Producer and works closely with Noort Filmworks. She attended art school in The Netherlands and is both a teacher and a designer. She also enjoys travel and she goes wild when exciting projects need to be put together. When I think back to when I shot my first paid gig, I remember being excited like a child. I had butterflies in my tummy - and I must say, I still get them and they're always there when I prepare, develop or film a story. With a beating heart and a fancy camcorder, I travelled from one village to the other in Zeeland, in south of the Netherlands. It was a promotional shoot, giving insight into the harvesting of wheat. I grew up in this area and the images and sounds of the harvest had become dear to me. For me, the ultimate summer evening feeling still contains sounds of farming machines and images of wind carrying away dust from the dry land - all of this against a pink/orange haze of the late and long evening. When I was asked to capture these moments and tell the story of the farmers, I was more than excited. And at the same time, I was extremely nervous. I was put to the test. The images I treasured in my heart, I now had to capture. I felt the pressure of wanting to translate the atmosphere that had become so dear to me, without having much experience in filmmaking. As I climbed a dusty ladder to get a shot of the massive storage warehouse, the grain dust created a gorgeous light fall from numerous skylights. I remember falling silent for a bit, then frantically grabbing my camera to catch this magical view - as if the sun would set that very instance and leave me in the dark. It was a successful shoot – at least, considering it was my first ‘official’ one - of course with too many hours of footage. I had already fallen in love with filmmaking, but that summer I made the commitment to tell stories through film. It was The Magic of Light that did it, and the challenge of capturing it. So I could pass it on to the people who weren't there to witness it. Nelleke is the Chief Executive of Noort Filmworks. She is a film director with almost 10 years experience, and she studied filmmaking in Amsterdam and Los Angeles. Aside from being a history nerd, she loves being outdoors and spending time with family.